If you haven't seen this photo, I'm sure you wouldn't believe it but man look at that crowd! This is the Vivo V7 launch at the SM City Bacolod center. I've been here quite a number of times because it's my province too but man, this must have been overwhelming for them to do. 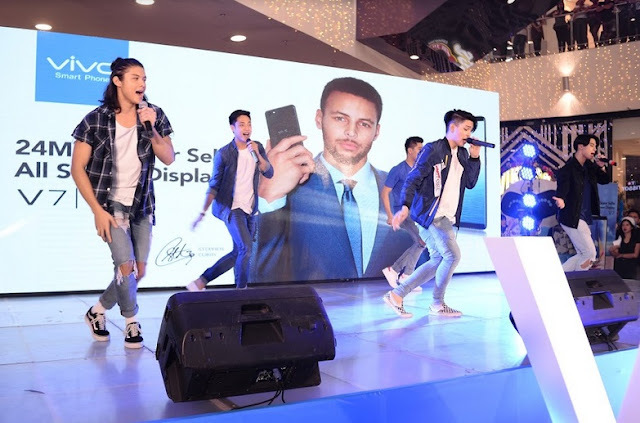 One of the things that probably made them come is the chance to see the Vivo V7 up close. If you don't know, the Vivo V7 has a 24 MP front camera so you always get a clearer selfie. It also has got a 16MP Back Camera, a 5.7inch all screen display, quick Face ID access, it's own Funtouch OS 3.2, a 4GB RAM, a 32 GB ROM, Qualcomm Octa Core processor and a game mode where you can multitask while playing your favorite game. It also costs Php 14,990 which is a whole lot cheaper than other phones with the same specifications. Boyband PH's Joao Constancia, Niel Murillo, Tristan Ramirez, Russell Reyes didn't let down because as soon as they got on stage, these guys danced like their life depended on it. Their fans surpassed that energy and went ballistic on the sidelines and the other floors of the very grand mall. It was like a concert of sorts and Vivo Philippines made it happen. They will introduce the same handset in different parts of the country and they will bring a lot of other artists too with them so you get to enjoy the features of the phone, and the entertainment these celebrities will bring you. 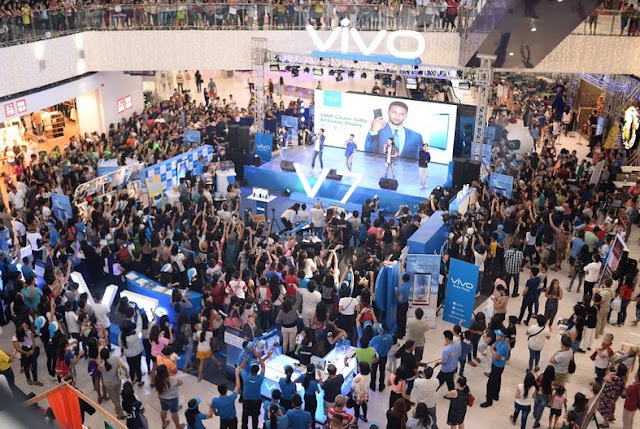 If you want to know more about their future events, visit www.vivo.com/ph or check their Facebook page at https://www.facebook.com/VivoPhil or their IG account @vivophil and Twitter account @vivo_phil.